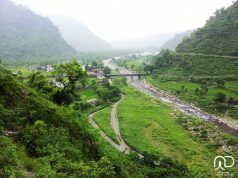 Uttarakhand is known as Dev Bhoomi as many spiritual and religious places are here. It is also widely famous for the numerous fairs it hosts and Jhanda fair is one of such fairs. The fair begins with putting up new Jhanda Ji (Flag ) at Darbar Sahib in Dehradun. On the day of Ekadashi, mahant of Shri Guru Ram Rai Darbar Sahib goes to Rainawala (Haryana) to invite and welcome devotees (Sangat) for hosting the flag. 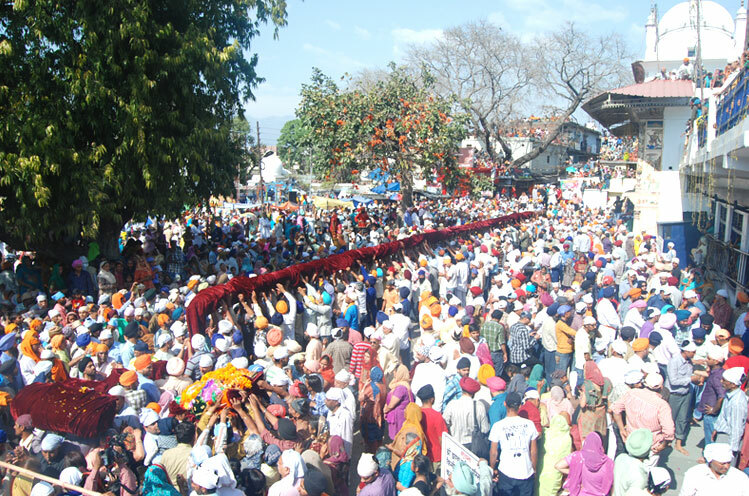 Large numbers of devotees (Sangat) comes from Punjab, Haryana, Himachal Pradesh and different parts of the country. 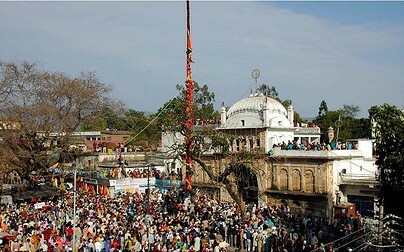 Jhanda Fair promotes communal harmony as people from different religion and castes join to host the Jhanda Ji (Flag). This year, Jhanda Fair will be started on 31st of March 2013 with huge devotees (Sangat) who already reached here for hosting Jhanda Ji (Flag). Present mahant of Shri Guru Ram Rai Darbar Sahib “Shri Devendra Das Ji” has decided to organize the fair in two places this year. First one is Darbar Sahib and the second one is Matawala Bagh, Saharanpur Road-Dehradun, So that it will be easy for devotees to enjoy the fair and have not to face any kind of problem due to crowd.